There are a total of 777 Angelic Flames/Rays that come from the various Archangels and their twin flames (Archeiai). With every flame and ray I am anointed with, they are being imbued into the sword that has been imbued into my spine. Being that I am a JEDI for the Galactic Federation of Light and am at a 14D frequency with over 9,000+ activated DNA strands. I am able to hold all of these flames and rays that I have been anointed with, giving me the ability and authorization to perform many different types of sessions through a combination of flames and rays that are imbued during each session. Indigo Flames/Rays, Black Flames/Rays, Pink Flames/Rays, Lilac Flames/Rays, Violet Flames/Rays, Emerald Flames/Rays, Ruby Flames/Rays, White Flames/Rays, Orange Flames/Rays, Citrine Flames/Rays, Crystalline Flames/Rays, Aquamarine Flames/Rays, Blue Flames/Rays, Golden Flames/Rays, Diamond Flames/Rays, Copper Flames/Rays, Silver Flames/Rays, Lapis Flames/Rays and all 22 of the Fluorescent Rays: Divine Fire Ruby Ray, Champagne Lemurian Ray, Christed Diamond Light Ray, Galactic Liquid Cobalt Blue Ray, Celestial Elegant Sapphire Ray, Celestial Aqua Lemurian Ray, Mint Pale Green Ray, Royal Celestial Divine Intuition Purple Ray, Liquid Golden Light Ray, Divine Fire Coral Gold Ray, Galactic Emerald Green Gaia Ray, Luminescent Pleiadian Green Ray, Celestial Opal Pink Shekina Ray, Oracle Clear White Ray, Venus(ian) Pink Ray, Lilac Ice Diamond Light Code Activator Ray, Solaris Yellow Liquid Golden Light Ray, White Clear Diamond Liquid Light Ray, Clear Rainbow Fairy Realm Ray, Shaman Stone Ray, Black Platinum Ray, Pleiadian Olivine Peridot Ray. Descriptions of all flames/rays will be coming soon. Clears and protects client home or other type of property from all forms of negative energies, negative entities, bad or neutral ETs, negative or neutral ghosts, poltergeists, demons, energetic portals, all forms of cords and attachments, contracts, soul contracts, vows, oaths, bindings, knots, hooks, blocks, barriers, obstacles, locks, etheric Locks, thought forms, enemies, vampires, energy vampires, relationship problems, twin flame relationship problems, psychic attacks, attacks, curses, hexes, spells, black magic, voodoo magic, doll energies, mind control devices, dangers, global disasters, disasters and all other negative forms of energy, across all timelines, all dimensions and all galaxies. Clears and protects client from all forms of negative energies, negative entities, bad or neutral ETs, negative or neutral ghosts, poltergeists, demons, energetic portals, all forms of cords and attachments, contracts, soul contracts, vows, oaths, bindings, knots, hooks, blocks, barriers, obstacles, locks, etheric Locks, thought forms, enemies, vampires, energy vampires, energy siphoning, relationship problems, twin flame relationship problems, psychic attacks, attacks, curses, hexes, spells, black magic, voodoo magic, doll energies, mind control devices, dangers, global disasters, disasters and all other negative forms of energy, across all timelines, all dimensions and all galaxies. Clears and protects client home and client from all forms of negative energies, negative entities, bad or neutral ETs, negative or neutral ghosts, poltergeists, demons, energetic portals, all forms of cords and attachments, contracts, soul contracts, vows, oaths, bindings, knots, hooks, blocks, barriers, obstacles, locks, etheric Locks, thought forms, enemies, vampires, energy vampires, energy siphoning, relationship problems, twin flame relationship problems, psychic attacks, attacks, curses, hexes, spells, black magic, voodoo magic, doll energies, mind control devices, dangers, global disasters, disasters and all other negative forms of energy, across all timelines, all dimensions and all galaxies. Jaye got ahold of me right when I needed him. I could feel energy going up and down my spine and also feel heat changes. I slept so well and I am so happy overall after the session. I could feel cords being cut. Today the world looked better and brighter and much happier overall. I was also seeing the Angels Jaye talks about. Next step is to remove the reptilian overlay. I can’t wait! I had been feeling off balance, drained & exhausted along with fatigue, muscle cramps & not sleeping well. I was also experiencing a constant deep piercing pressure in my throat which was really on my nerves. I tried different healling techniques on my throat to release the pain/pressure but nothing helped. I contacted Jaye about my symptoms. Jaye immediately identified the very source of WHAT, WHY & WHO’m was the cause of all that I was experiencing!!! Jaye explained I had curses, hexes, voodoo energies & other distortions attached to me as well as negative & unhealthy cords. And the pressure in my throat was energetic & it was a negatively influenced energy! I had a powerful session, during which I had visions of what was getting cleared from me. Immediately after the session I felt my energy had been restored, I was so energized & feeling free that it was hard to sleep! The session feels like a shower you take if you were drenched from head to toe in dirt, mud & sweat!!! Fully cleansed, energy restored, head cleared, literally taking the reigns of your life back in your hand, not being influenced by any unwanted energy/entity! It is a truly powerful life changing healing session. So far I’ve had a few family members & my partner do the session also. I’m making it a part of my lifestyle, to have it done regularly. Thank you & infinite blessings Jaye. I had an Angelic ray sward session done last week for my self and a family member and it was amazing. I had clear vision of what was getting removed from me and it was so powerful that I felt the result straight away. I have a suggestion that maybe you should tell people to get this session done before any DNA activation. Its so powerfull. Blessing to you, first time I contacted you was last Dec to get Avatar activation and since then my life has changed You are doing amazing work and I think this Angelic ray sward session is magnificent. I did the protection sword. It’s really interesting to see the negative stuff slowly leaving your body. Overall I feel more shield then I did before. I probably will do it again, because I never know what crossed my path. Hi there everyone…I don’t believe in coincidences and for a reason I was guided here to Jaye!…I recently did the j seal and implant removal as well as the Angelic Ray Sword clearing and protection done…I must say that I found these sessions wonderful…I could feel so much being cleared away…cords cut and so much energy being moved throughout by body…But even as important…I have noticed how much better my energy feels during my day and also I have noticed that I am no longer taking on the negative energies of others when I am out anywhere…I’m so calm and relaxed…even around unkind people…Jaye is a gift…a gift to us…please do not hesitate and allow him to help you…we all found our way to him for a reason…I’m looking forward to my next session…Thank you so much Jaye…Thank you for sharing your gift with me! I felt pressure in head, really cold feet and hands. Energy just vibrating through my hole body like waves. And at the end some really heavy vibrations and then it’s faded a bit. Days after the session I vibrate and hear this constant tone full of energy. I highly recommend this session! Jaye is a great healer and teacher always give answer to my many questions. Jaye is truely guided and agreed to speaking with me after experiencing severe energetic attacks and drainage from a client healing session. 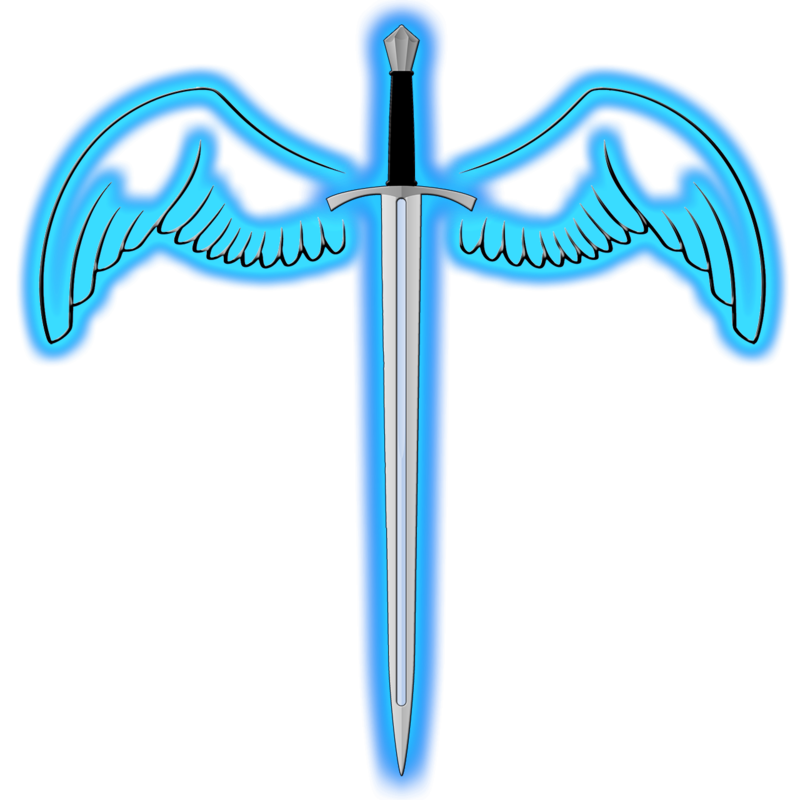 He helped me identify the problem and with the Angelic Ray Sword Session reclaim my energy. I am currently in the experience of receiving my energy back at a whole new level and I can focus on my mission again and for this I am so grateful and in relief.